How do I buy a FirstLight HomeCare Franchise? 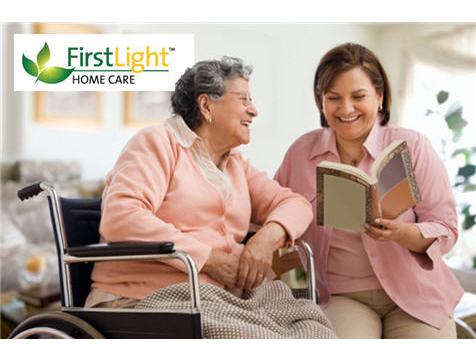 FirstLight HomeCare offers comprehensive, in-home, non-medical and personal care services to seniors, new mothers, disabled adults and others needing assistance. Based in Cincinnati, Ohio, FirstLight’s management team brings more than 160 years of collaborative experience in health care, franchising and senior services, creating the core of FirstLight’s foundation. Open FirstLight HomeCare in any of these available states: AZ, AR, CA, CO, ID, IL, IN, IA, KS, MI, MN, MS, MO, MT, NE, NV, OK, OR, SD, TX, UT, WA, WI, WY. We are looking for a special group of people interested in becoming FirstLight franchisees. People who are passionate and caring and strive to provide exceptional service. FirstLight HomeCare creates both a personal avenue to help others as well as a professional opportunity for strong growth potential with corporate support to build a rewarding career path. If you want to make a difference in people’s lives while building a powerful business, THIS may be just the opportunity for you. 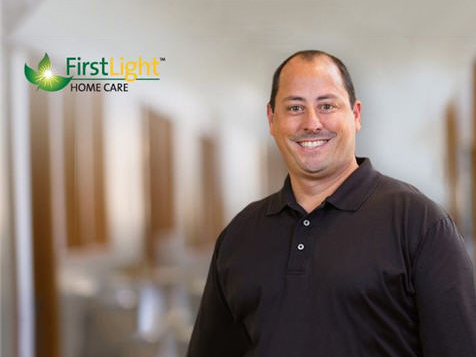 FirstLight HomeCare has developed a comprehensive training program to guide new franchisees every step of the way as they move forward in opening a new FirstLight business. Reinforcing the keys to initial and ongoing franchise education, this includes a pre-training module, 5-day new owner training in Cincinnati and a post-training module that lasts for 16 weeks. Additionally, within the first 60 days of opening your FirstLight business, a Business Development Director will provide two on-site visits to your location to ensure your accelerated growth. Client Care Access – A secure, Web-based tool allowing families to monitor the schedule and detail of care for loved ones and providing tools for feedback and peace-of-mind via Internet access. Emergency Response – Personal Emergency Response Systems, Medication Reminder devices, and Vitals monitoring available for every client backed by one of the largest providers in the country. ClientFirst – A unique tool that matches specific caregivers to client’s needs and habits during the initial transition to in-home care. If you are interested in making a difference in the lives of others, providing an exceptional level of client care and partnering with a proven leader, we want to hear from you – contact FirstLight HomeCare today! The FirstLight model provides a great deal of services for veterans at the local level and provides a $10,000 discount off the franchise fee for qualified veterans. FirstLight HomeCare is currently accepting leads from the following states: AZ, AR, CA, CO, ID, IL, IN, IA, KS, LA, MI, MN, MS, MO, MT, NE, NV, OK, OR, SD, TX, UT, WA, WI and WY. FirstLight HomeCare is not currently active in our directory, but here are some other recommended selections for you to explore.